IT was May last year when a certain Frenchman strode through the searing heat of the Las Vegas summer, towards one of his greatest career ambitions. Dombresky stepped up to perform among the bright lights and spectacle of the main stage at Insomniac’s Electric Daisy Carnival festival. Merely months later, he was doing it all over again at the Orlando edition. Dombresky has officially entered the A-league. Though he might lack the bombast of other main stage fixtures, last year, Dombresky’s presence there made perfect sense, particularly after the slow build success of his breakthrough anthem ‘Utopia’. With the Dombresky sound floating somewhere indefinably between the grandiose noise of EDM and the authentic grooves of house music, you could argue this French fast-riser is somewhat representative of how Chicago’s famed legac is creeping towards a mass-market audience. And while the man otherwise known as Quentin Dombres insists he’s made music for approaching 15 years, it’s been a swift ascent for his new alias, at the very least. One of his serendipitous breakthrough moments was when French band Point Point took a liking to one of his tracks, deciding to share it with his personal idol, A-Trak. 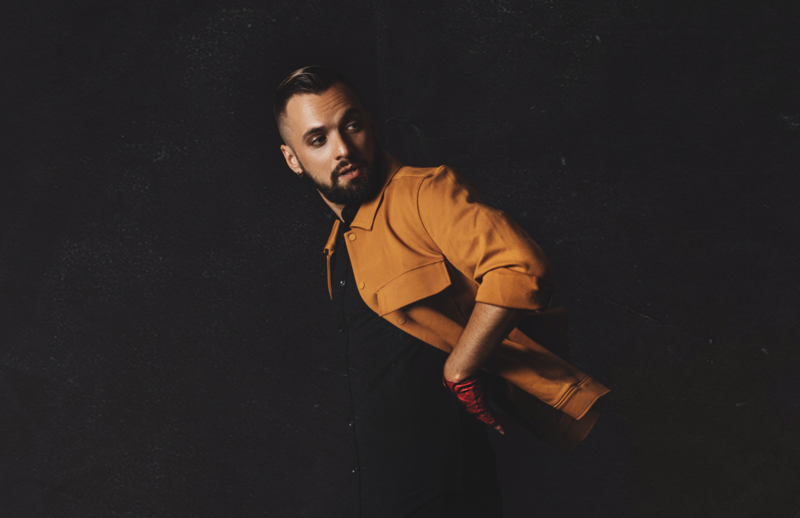 The DJ liked it, and wanted more; and just like that, one of Dombresky’s bucket-list dreams, to get a track signed with A-Trak’s Fool’s Gold label, was in the bag. This was followed by releases on similarly impressive stables Mad Decent and Confession, the latter of whom signed ‘Utopia’, which saw Dombresky turn a soul sample on its head before twisting things right around with dizzying swirls of percussion. Not surprisingly, it grew into somewhat of a monster hit. “It’s funny that it took about a year for it to become as popular as it has,” he says through a smile. “The response may have come late, but I love that it happened that way. Everything takes time, and this one certainly took its time. I took a risk, because I put a wild stereo on the bassline. New for me, but it goes hard on soundsystems. Location-wise, he’s been based in the States for quite a while now, beginning in Miami, where he says Latin culture proved a huge influence. “Salsa music is really the key to life — the vibe there is like no other,” he says. “Now I’m in Los Angeles among friends, and it’s completely different. I’m not sure how long I’ll stay in LA, since it’s always good to move around, but it’s home for now." He’s got 2019 off to a smashing start with the saxophone drenched ‘Soul Sacrifice’ and in March he’ll play his first ever LA headlining show at the Academy. You can assume a few more main stage appearances will be on the agenda too.